Home / College of Arts & Sciences / Mathematics / Our Memberships…and Yours! The University of Portland Mathematics Department holds membership in a variety of mathematical professional societies. We also fund our university’s membership in the Intercollegiate Biomathematics Alliance. For detailed information on all of our memberships and affiliations, as well as the associated benefits for members of the UP community, please see below. The University of Portland is an institutional member of the American Mathematical Society (AMS). 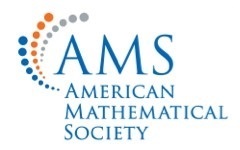 The AMS is dedicated to advancing research and connecting the diverse global mathematical community (including professional mathematicians as well as students) through its publications, meetings and conferences, MathSciNet, professional services, advocacy, and other awareness programs. The University of Portland Department of Mathematics is a departmental member of the Association for Women in Mathematics (AWM). The AWM’s mission is to promote equal opportunity and the equal treatment of women and girls in the mathematical sciences, supporting individuals and institutions as we all work to make a more just and equitable community. UP is a member of the Intercollegiate Biomathematics Alliance (IBA), a consortium that promotes and fosters research and education in biomathematics. The IBA strives to bring together institutions both academic and non-academic to build a collaborative academic community in the pursuit of advancing biomathematics, ecology, and related areas for researchers, educators of the mathematical and biological sciences, and active scholars. In doing so, the IBA provides a wide range of expertise, resources, and opportunities that are only available when we work together as a community. The University of Portland Department of Mathematics is a departmental member of the Mathematical Association of America (MAA). The MAA is the world’s largest community of mathematicians, students, and enthusiasts. This society seeks to further the understanding of our world through mathematics because mathematics drives society and shapes our lives. The University of Portland Department of Mathematics is a departmental member of the Society for Industrial and Applied Mathematics (SIAM). SIAM fosters the development of applied mathematical and computational methodologies needed in various application areas. Applied mathematics, in partnership with computational science, is essential in solving many real-world problems. Through publications, research and community, the mission of SIAM is to build cooperation between mathematics and the worlds of science and technology.